This volume is Robert Thornhill's journey as an author. Thornhill began writing his first book at the age of 66. Three years later, he has written 10 novels, 7 children's chapter books, a cookbook and this book that I just read. Oh, and he has more books on the way! I am so impressed by Thornhill and his many talents, ambitions and his "go-getter attitude." I marvel at all he has accomplished and continues to accomplish. I read parts of this book out loud to my Mom and she too is very impressed with him. Thornhill shares all about the publishing industry and what worked for him. He started out self-publishing, tried a subsidiary publishing house and now self publishes again but he does so in a much more cost effective way than the first go round with self publishing. He talks a lot about his wife Peg who is his editor, encourager and accompanies him to all his book signings. Peg also designs his book covers! I am glad that Thornhill has found what works best for him so that people like me can read his books! He is his own marketer and that alone takes many hours of work in addition to writing the books. I am so glad that Robert Thornhill invited me to be his friend here on Goodreads so that I would find out about him and start reading his awesome books! Do you have a story niggling in the back of your brain? Have you been creating and telling stories to your children or grandchildren? Maybe it's time you put the words, sentences and paragraphs into your computer. But once this is accomplished which direction do you turn for advice on being published? Robert Thornhill takes the readers of his publishing journey for a trip through his wrong turns, mis-steps and ultimately the venues he discovered along the way which have put his literary babies into the hands of children (Rainbow Road Series) and adults (Lady Justice Mystery Comedy Series) everywhere. I know they're in my neighborhood! Be sure they find their way into yours too! While you're reading of his journey into being published, you may also discover ways to join him as an author. With all the humor of the "Lady Justice" books, Robert has taken us through the arduous process of having his novels published. Robert shows that after the hundreds of hours spent writing and editing, the work just begins. 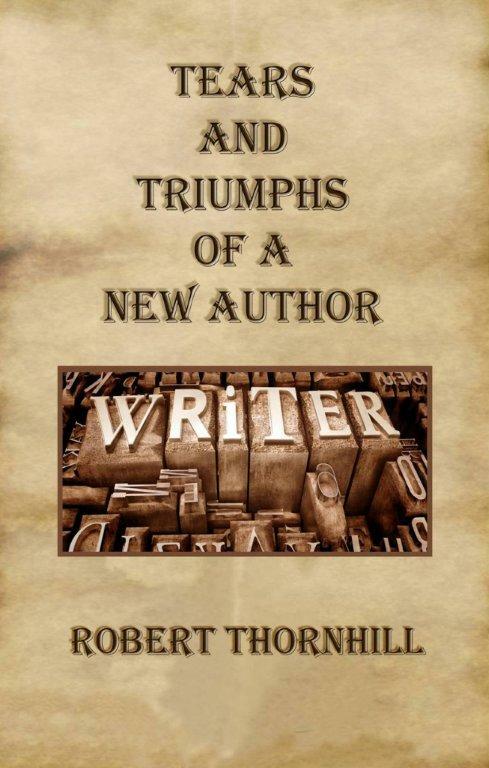 With helpful (and some very entertaining) links and suggestions, Robert provides a road map that worked for him and may work for others looking to fulfill their dream of publishing their work. You really do have to follow the link to Robert's Elvis impersonation! I am a big fan of Robert Thornhilland his Lady Justice series, so when I saw his name on this book I had to read it. I really enjoyed learning all the ups and downs, frustrations and fun Robert had getting his books in print. I have learned it is not an easy process! I have to admit, when I find new Authors and enjoy their work, I feel as if I found a diamond in a pile of rocks. Mr. Thornhill shines in my eyes, and I look forward to more work by him. Note to Robert; I still see your books as a weekly TV series, someday it just may happen (and I do hope soon). Keep writing, I will keep reading! Author definitely offers encouragement in a positive well written presentation. Bottom line never give up is provided with substantive actions. If you are new writer this is a must read. Most informative book which should be read by every new writer attempting to reach publication. Author makes it clear you just need to keep working toward your dream. Enjoyed authors style & prose. Recommending to writer friends seeking publication.